(15th October 2007) &endash; Malta based Corinthia Hotels International announced that two of its hotels, namely the five-star Corinthia Grand Hotel Royal in Budapest, Hungary and the Corinthia Atlantic Hotel in Banjul, The Gambia, have won the prestigious 'Hungary's Leading Hotel' and 'The Gambia's leading hotel' awards respectively in the international 14th Annual World Travel Awards 2007. The ceremony took place on the 9th October at The Sage, in Newcastle Gateshead, England. Accepting the Award, Corinthia Grand Hotel Royal General Manager Adrian Ellis said "Together with my colleague, General Manager Sylvain Chauvet from the Corinthia Atlantic Hotel in The Gambia, we are proud and honoured to be receiving this prestigious award, which we dedicate entirely to our employees, whose tireless efforts and dedication to duties made all this possible. Our hotels now proudly join an elite international band of hotels that have been similarly recognised for their outstanding qualities"
Apart from the two winning hotels, three other Corinthia Hotels were also nominated among the finalists for the awards. These were the Corinthia Palace Hotel & Spa in Malta, the Corinthia Khamsa Hotel in Tunisia and the Corinthia Nevskij Palace Hotel in St Petersburg, Russia, who were all nominated for the Leading Business Hotel award in their respective countries. The Corinthia Nevskij Palace Hotel was further nominated in the Best Conference Hotel and Best Suite Hotel categories for Russia. Hailed by the Wall Street Journal, as 'The Oscars of the Travel Industry', the World Travel Awards are the most comprehensive and most prestigious awards programme in the global travel industry today. Attended by the captains of industry, the World Travel Awards ceremonies are highly regarded as the event and forum that serves to acknowledge, reward and celebrate the enormous achievements found in all sectors of the global travel industry. 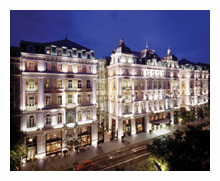 The Corinthia Grand Hotel Royal is a complete renovation of the 19th century Hotel Royal building, which first opened for Budapest's Millennium exhibition in 1896, and which has now been restored to its original splendour. The hotel's façade, as well as the main ballroom, are original, while traditional architecture was blended with modern style to create a unique harmony in other parts of the building. The hotel has 414 luxurious rooms and the largest state-of-the-art conference and exhibition centre in any five-star hotel in Hungary. the Corinthia Atlantic Hotel is set in extensive gardens on The Gambia's spectacular 50km-long unspoiled coastline and only a 10-minute walk away from the centre of the Country's capital Banjul. 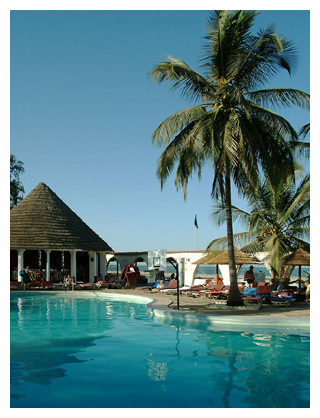 It is one of the longest established and best renowned hotels in The Gambia. The hotel is ideally located only 20 minutes away from the International airport and provides wonderful opportunities for both a relaxing and a more adventurous holiday. The hotel's 204 rooms offer superb comfort and panoramic views of the great River Gambia and the surrounding tropical gardens. An amazing array of facilities in the hotel combines to offer an exotic holiday experience of a lifetime. CHI is a hotel operating company that is a joint venture between Malta based International Hotel Investments plc (IHI) and Wyndham Hotel Group (WHG). It undertakes hotel management operations for Corinthia Group and IHI owned or affiliated hotels as also for third party owners. CHI is also the exclusive hotel management company for WHG managed hotels in the EMEA region operating under the Corinthia, Ramada Plaza and Wyndham categories. CHI has over 40 years experience in delivering a high-quality service to hotel guests and an optimum rate of return for owners and investors. Its expertise extends to management of luxury and upscale properties in city and resort locations, ranging from boutique to large conference and meeting hotels. Corinthia this year features among the top 50 hotel operating groups in Europe, as reviewed by Hotel Management International, an official publication of the European Hotel Managers Association. The World Travel Awards were established in 1993 to acknowledge, reward and celebrate the enormous achievements in all sectors of the global travel industry. In the years since, new technology has ensured that travel has maintained its position as one of the fastest-growing industries on Earth. Candidates for nomination are based upon the previous year's voting. This is the world's most comprehensive travel awards ceremony, with trophies awarded in all areas of the industry. Voting is cast by travel agents in over 190 countries around the world. Regional categories are broken down from the Whole World category into eight smaller areas - Africa, Asia/Pacific, Caribbean, Central & Latin America, Europe, Middle East, North America and South America. These are then further divided into all areas of the travel industry. Hundreds and thousands of votes each year are registered online at the official World Travel Awards website, with most of the leading travel internet sites offering additional online voting facilities.